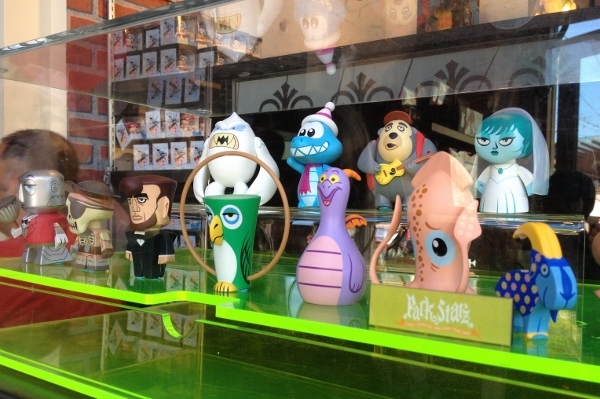 I thought I would give you a quick look at some of the pieces currently for sale in the Vinylmation corral that I thought were some of the most interesting. I know you fans will tease me, saying that I should be aware that some of these are older releases, but as a non-collector that never peruses the shelves, they caught my eye! One piece of advice for you non-collectors – before you buy, beware! Some of these are awfully expensive for that quick “new-toy” fix and this can be a hard habit to break once you get hooked!!! A little research tells me that the photo above represents Park Starz 1, a line dedicated to famous icons in both Disneyland and Walt Disney World Resort attractions. The figures in this set, by Thomas Scott and Casey Jones, sell for $18.95 each. Mary Blair and Small World fans will love this Jr. set of favorite it’s a small world characters, which was released on August 19, 2011. 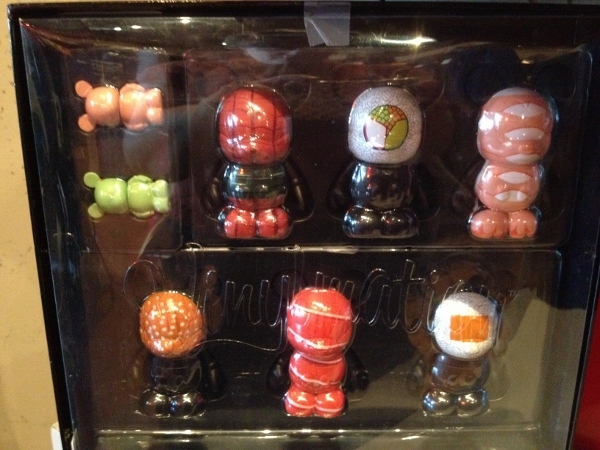 Each figure in this set by Thomas Scott sells for $8.95. Released on July 22, 2011, this one definitely caught my eye. 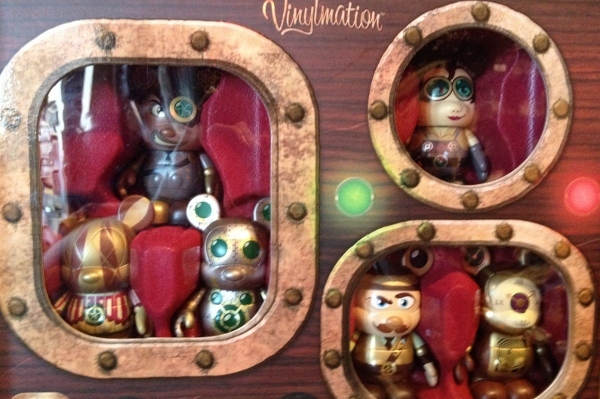 Since I get teased on the show all of the time about “Steampunk”, of course I had to fall in love with this set. Steam Park takes Mickey back to the now-popular time of romantic Victorian futuristic vision. This limited edition set of 1000, by Mike Sullivan, costs $99.95. Another passion for me took my eye to this one. Showing clockwise, toro (fatty tuna), california roll, ebi (shrimp), tomago (omlette), salmon, massago (smelt egg), wasabi, and pink pickled ginger – with chopsticks, the Sushi set by Thomas Scott was released on April 29, 2011 and costs $99.95. This set, Billiards, was released on July 23, 2010. I thought it was fun to see them grouped as a cluster of billiard balls, along with a token white ball/chalk and setting triangle. This limited edition set of 1000, by Dawn Ockstadt, costs $255.95. Going up even higher in price, are specially designed, one-of-a-kind, 9″ figures by Charlie Benante – the drummer from Anthrax. 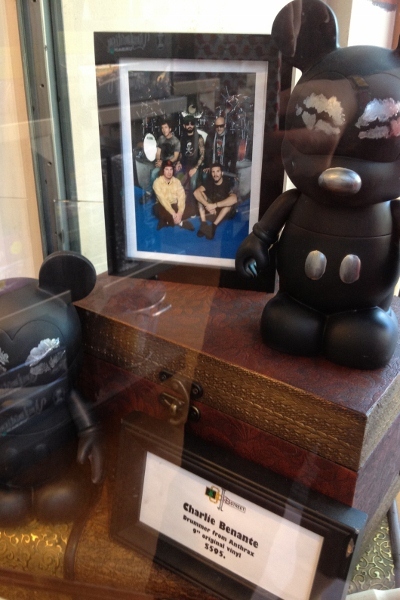 At $595.00 each, this would make a great gift for the Anthrax/Disney fan in your life! Finally, I’ll bring the price back down with this attractive set, Black and White. Simple, but nice. This limited edition of 2000, was released on August 12, 2011. This set, by Sarah Matthews, costs $99.95. Even those of us who don’t collect can see that these little figures certainly have quite the following. 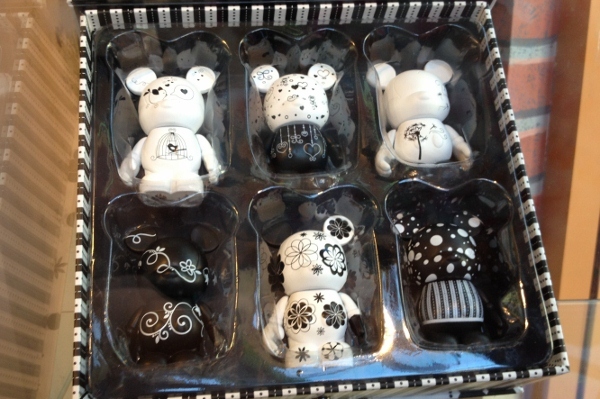 Their variety and charm makes them a great gift for anyone who loves Disney! 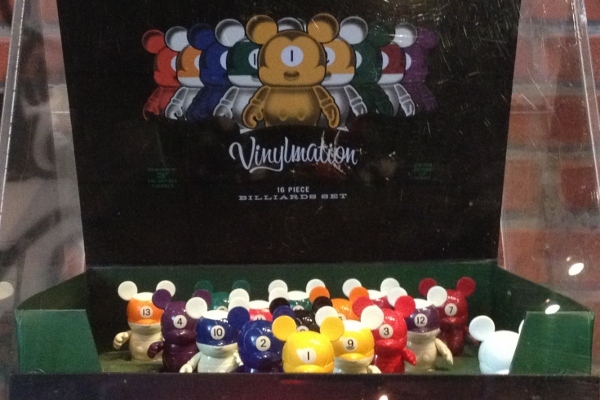 To talk more about Vinylmations and other Disney collectibles, visit our Disney Collectors Board! 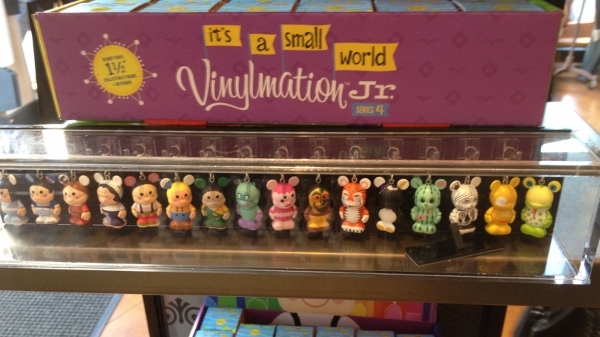 Current Vinylmation news can also be found on our Podcast Forum and on this thread!